» What Is B Stock? Should You Choose It? What Is B Stock? Should You Choose It? Have you ever purchased a “B-stock” item before? If you’ve done once, you must know about it! So what is B stock? B-stock products are exactly the “refurbished” ones produced from the factory, and they could suffer some slight scratches or other defects as compared to the other items. B stock products are the certain components that work well, but there would be something unexpected taking place to them somewhere else along the line. For example, they might get scratched, or any part of the product gets lost. For that reason, they are often sold at a discount but especially come with the full warranty from the factory. They’re probably not sent back to the place or any repair center to be re-checked. Nowadays, B stock means a product returned by a user within 30-day money-back guarantee, and it won’t ever be sold as the A stock (will be mentioned in the section below) again. These items are sold at a special or lowered price. They also arrive with a full warranty. As compared to the B Stock, refurbished products are given back to the factory by the customers for some reasons. They probably failed under warranty or for a few other unknown reasons. And that repair center needs to check up the unit and fix any issues found. After that, they will be sold at a discount and often with a shorter warranty period than brand new products. A stock means “new” in all cases. It mentions the items and products which are all new in the box with the full warranty and other return policies offered by the manufacturer. 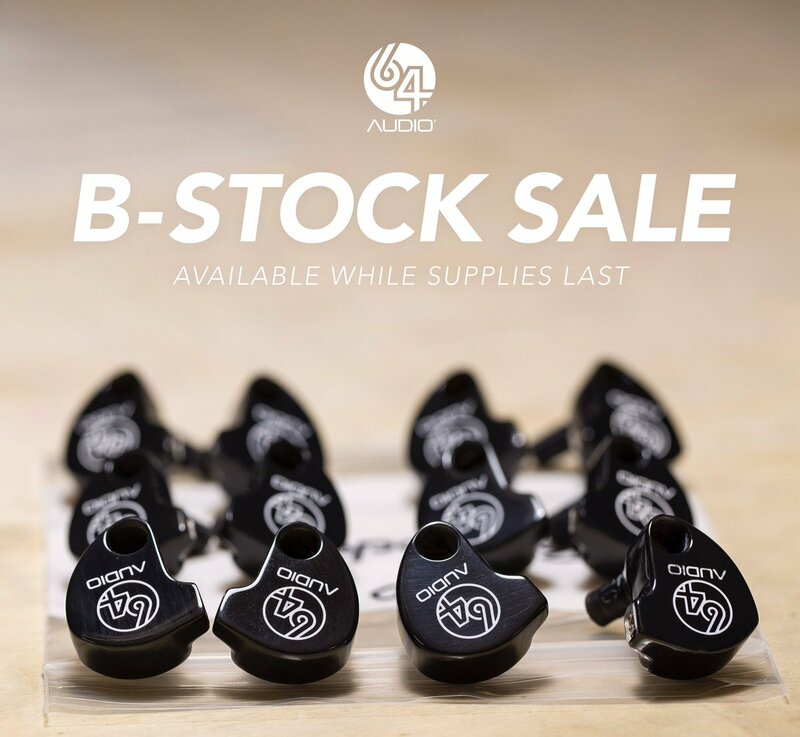 As being at the retailer level, the B stock gets almost close to the true quality of the A stock. It can be seen as a demo model, but still owns all of the original package, components, and manuals. In some cases, the difference just depends on where your B stock label sticks to (not physically where, but where exactly in the entire chain). However, you can detect that by watching the remarkably lower price on that item. This is also the case with some extremely low prices online sites. When it comes to the distributor level, B stock means the products that have been sent back to their stores. After that, they will be repackaged before being sold back to the stores for resale. Is It OK to Save Money by Buying a B Stock Items? All of the dealers would like to offer B stock items at a price that is below the list price. But have you ever wonder if it’s a great value for money, or shall we get something that goes wrong? If it’s an audio dealer, don’t worry too much since they usually offer good “return” policies as compared to other equipment. Besides, in a few countries where the dealers must give you a cool-off period when you have the right to return the purchase if you suddenly changed your mind. Make sure not to open and use the product before sending it back to the dealers. However, it’s pretty common to see some retailers allowing you to have the box opened, try the item, and then send it back if you don’t like it anymore. Well, if you can trust that retailer to help you, you’ll be more likely to save money and get what you desire. Remember that, the photo shown with a B stock product is often the original item one, but this photo only shows accessories attached with the new item, not the B stock one. To sum up, you can save a big amount when buying B stock items. What’re Drawbacks of B Stock? If that happens, once receiving your B stock items, you tend to feel extremely amazed that it’s completely in brand new condition. So, start enjoying your new product or spend savings on a few more things else. Also, there is a big weakness of this kind of stock: You’re unable to receive things that are supposed to be included in the packaging box. For example, the instruction manual or other minor items might get lost. In other words, B stock items won’t come with more optional accessories at all, but they usually include only the ones required to use the product. Some equipment probably suffers some cosmetic defects, and thus, do not purchase them if you concern about them. You won’t get a guarantee that is as good-quality as the factory item. Specifically, if you expect to enjoy one-year guarantee on a brand new product, with B stock, the period will be reduced to 3 months only. When deciding to buy a B stock item, you must accept that they’ve got some minor issues which do not affect its function performance. Luckily, you can have the peace of mind that your unit has been tested by the staff to ensure to be in good condition and coming with a full warranty from the manufacturer. If you don’t bother to get something that is less than flawless, then you totally can save a big amount of money on B stock items! Please note that the clearance products are usually priced to be sold fast, so there won’t be other discount or promotional code that is applied to the prices that have been discounted already. Feel free to leave any questions below. Previous Post What Is A 2 Way Speaker – 3 Way Speaker? Next Post What Is THD? And Why You Need To Know It?